When a typical lawnmower is not enough! TheÂ Rammy Flail mower 120 ATVÂ is an agile mower for cutting hay, meadow grass and small trees. 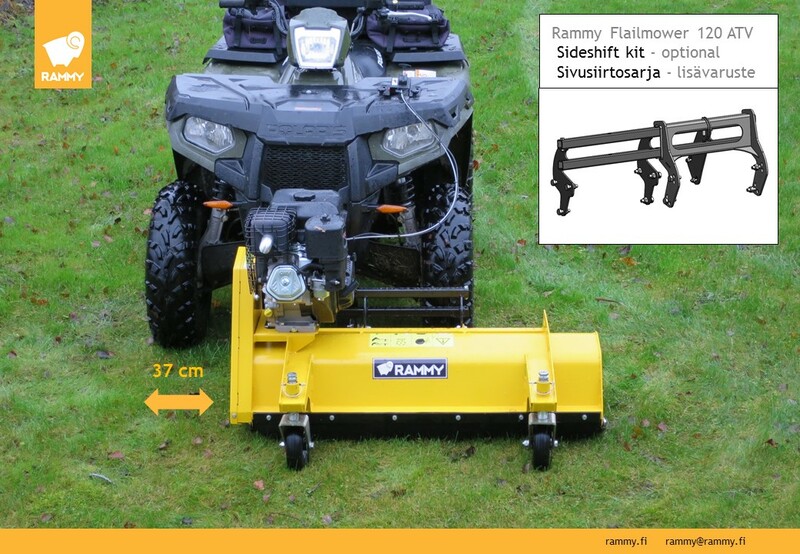 With Rammy's front cutter you can cut grass on lawns, meadows and roadsides, efficiently and effortlessly. The Flail mower has its own engine. It is possible to move the cutter 37 cm to the left, if it is fitted with aÂ SIDE SHIFT KIT. (optional). With the adjustable frame, this Flail mower is suitable for almost all 4x4 ATV-s. 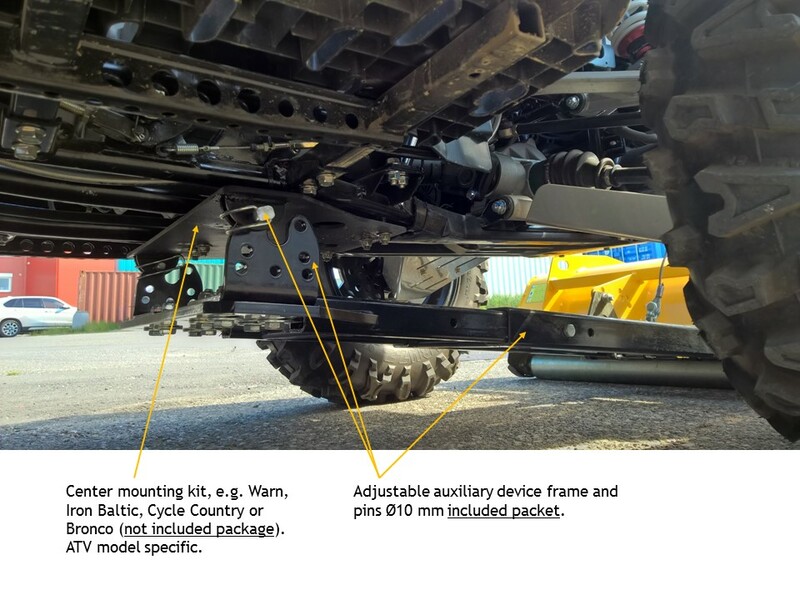 If theÂ CENTER MOUNTING KITÂ is on the bottom of your ATV, Rammy can be used with existing fasteners. If you need these (not included in the delivery), we haveÂ esim. Iron Baltic installation kit,Â Warn FinlandÂ orÂ Warn Global. 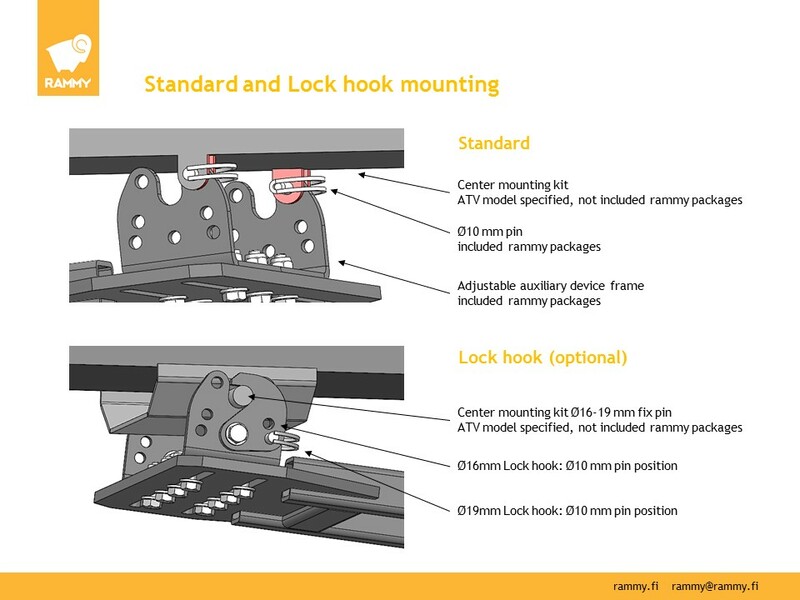 The Flail mower can also be attached with aÂ LOCK HOOK 16-19 mm. (optional). Copyright © 2019 AGRI-SERVICES.CO.UK. All Rights Reserved.